Home > What is Content Marketing? What Types of Content Marketing Campaigns Can I Run? 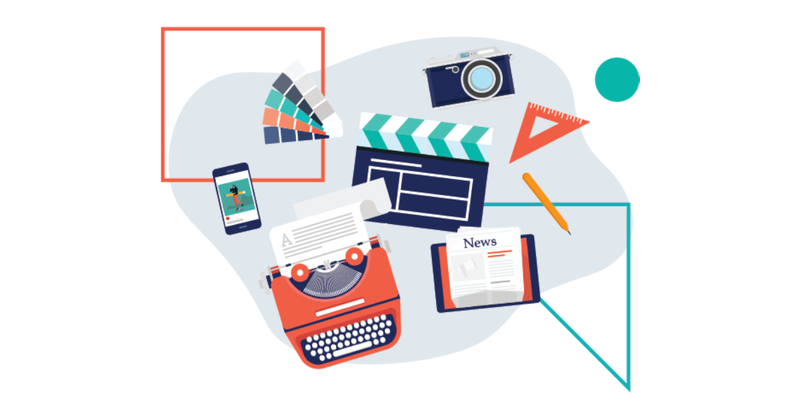 When it comes to the question "What is content marketing?" we simply like to say it’s about making sure that your potential consumers have access to relevant information about your brand at all stages of the purchase funnel. Your goal is not so much to sell but to consistently inspire, entertain and educate your audience with content, ultimately leading them to reward you with their business and loyalty. If you’re looking to reach more than a million consumers and educate your consumers about what you do, there’s no better way to do it than to launch a creative video campaign, most likely supported by Facebook and YouTube ads. When doing video, however, you need a strong creative idea, some 3 weeks for production and a media budget that is at least 3x more than your production budget as a rule of thumb. A good example of this is when Samsung wanted to launch new appliances in time for Mother’s Day. 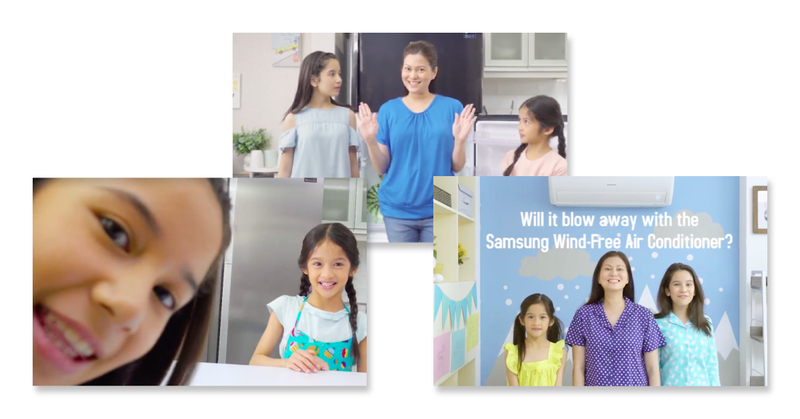 Using video producers on the GetCraft Marketplace, Samsung produced three vlog-style videos featuring a mom and her kids introducing these new appliances. They then promoted those videos using paid digital ads on Facebook and YouTube resulting in 1.1 million views (as of May 2018). When asked "What is content marketing?" it's tempting to limit your definition to owned channels. But it also includes the distribution of content through sponsored content initiatives such as influencer marketing. This is something that many brands are now doing at scale by working with hundreds of influencers or top celebrities simultaneously to garner millions of views and give them the reach they need. A benefit of influencer marketing is that influencers can help you ideate, create and distribute content, while at the same time allowing you to create many different messages and therefore appeal to various types of consumers. When doing influencer marketing, however, you need to prepare to face challenges in finding the right influencers, managing them individually, and measuring campaign success—issues that the GetCraft platform is designed to help you with. 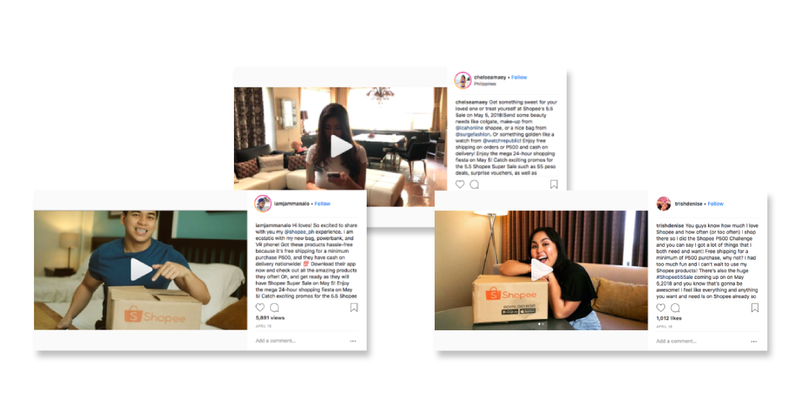 A good example of a large sponsored influencer campaign is when Shopee worked through the GetCraft Marketplace with 58 Instagrammers who played around with various content executions—USD10 Shopping Challenge, OOTD, product tutorials, etc.—to generate a buzz about their 5/5 sale in the Philippines. Another way to deliver large views is to directly work with publishers simultaneously to sponsor articles, videos or infographics on their sites (often called branded content). Like influencer marketing, the benefit of branded content is that publishers help ideate, create and distribute content to multiple audience types. However, as sponsored publisher content is richer and more in-depth, it also gives you the opportunity to communicate multiple and more complicated messages than influencer marketing. The downside is that given the richness of sponsored publisher content, they tend to take longer to produce and can cost slightly more. 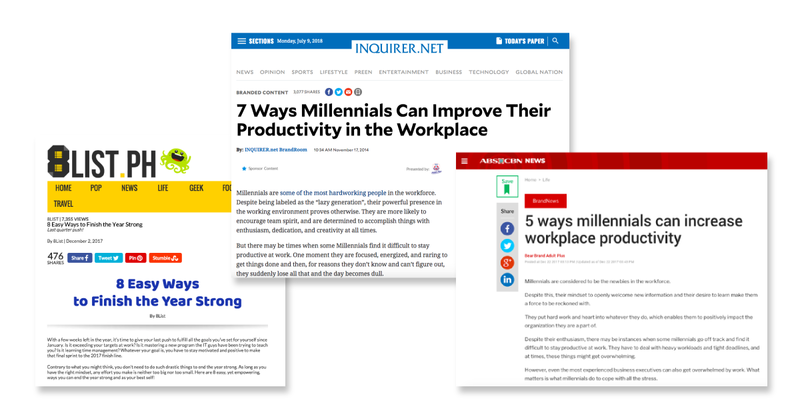 A campaign we like is when Bear Brand Adult Plus cleverly provoked millennials by working with 8 top-tier publishers through the GetCraft Marketplace to raise the question of ‘millennial workplace productivity’ while subtly introducing the brand. These campaign around a disruptive idea resulted in over 2 million views! While working with influencers on one-off executions has its benefits, we also recommend collaborating with them on a more long-term basis to make it easier for them to develop an affinity for your brand; make content more authentic; and, in turn, help build your brand reputation. Other benefits here include reduced prices for longer-term contracts; their attendance to offline events; them giving you advice on your own content; and their potential support during crisis situations. Engaging influencers on long-term basis , however, can be challenging as you will need to do more research; be patient in finding the right match; and be ready to lock in their services for a whole year. 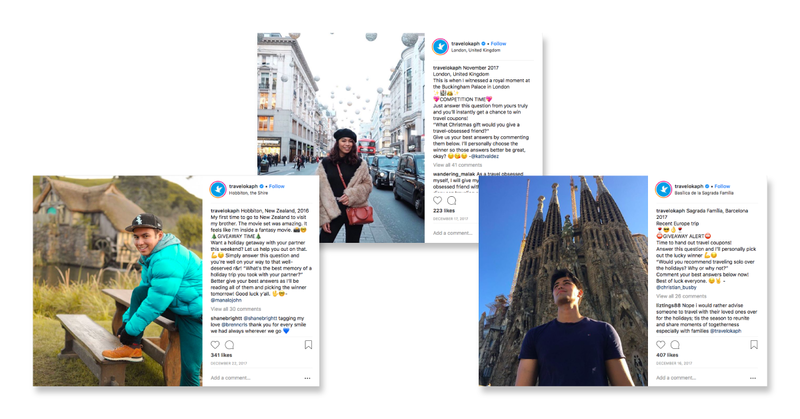 Traveloka is a great example of a brand that works with influencers on an ongoing basis to promote events, drive app downloads and help with content ideation. They do this by working with some 10 influencers per month on different campaign initiatives across content types, including Facebook Live, Instagram Photos, Instagram Videos, Instagram Stories and even Twitter takeovers. Like ongoing sponsored influencer campaigns, working on branded content with publishers in an ongoing basis tends to have huge impact on brand reputation and credibility. We particularly recommend that you produce with publishers a series of content pieces that target consumers throughout the purchase journey and interlink those pieces strategically to convert consumers down the marketing funnel. Other benefits of long-term publisher engagements include discounted rates; greater halo effect of being associated with a credible publisher; and a boost in brand reputation not only among consumers but also key opinion leaders. The challenges you might face in running ongoing sponsored publisher campaigns include the need to plan for a series of content pieces rather than just one article, video or infographic; and the likelihood that publishers will ask payment upfront for all the content pieces you plan to produce with them. A brand that does ongoing sponsored publisher campaigns well is Avon, who in the Philippines co-creates content series with key publishers and beauty bloggers on a monthly basis. Avon sends them beauty products to review on their sites; frequently invites them to events; and seeks their input on products and campaigns. Apart from sponsoring content with influencers and publishers, you also need to distribute high-quality and insightful content consistently on your own channels, including social media such as Facebook, Instagram, Twitter and Linkedin. The obvious benefit of being on social media is that potential consumers can easily find you on channels they spend most of their time on, giving you the opportunity to have real conversations with them and educate them intensively. With social media now flooded with content, however, the challenge is for you to stand out by producing content only through expert creators such as those on the GetCraft network. You also need to post consistently, potentially through an agile in-house social media manager or team. Supermi’s launch of its Instagram account in Indonesia is a good illustration of the benefits you get when you work only with expert content creators. They connected with food photographers on the GetCraft Marketplace to populate their new social media account with stunning images. For Avon in the Philippines, we produced GIFs that helped them spruce up their social media feeds. When it comes to owned media, one of the best ways to get value for money is through SEO and content portals. These are simply landing pages filled with content that inspire, entertain and educate your audience; help you capture data for retargeting or leads; and ultimately boost your search performance over time. The caveat is that content portals are long-term efforts and need to initially be supported by distribution through social media and paid ads until you start seeing SEO results, usually after some 6 months. A content portal we like is Pursuit of Passion, a lifestyle portal run by Avida using our network of writers to help consumers navigate the relatively long consideration phase when buying real property. The site attracts some 30,000 new visitors per month (as of May 2018). Once consumers are on your site, you need to make sure they can quickly understand your product or brand and easily navigate steps toward purchase. A straightforward way to do this is using explainer and how-to videos, which we consider hygiene content or content pieces that you absolutely need on your site. Benefits of doing explainers or how-to videos include the fact that video content is said to be more than 50 times more likely to rank better on Google than written content. They also increase conversion rates, making them strong sales tools. Because of the video format and the need to drill down on strong messaging, however, explainer and how-to videos also tend to be more time-consuming and slightly more expensive to produce. 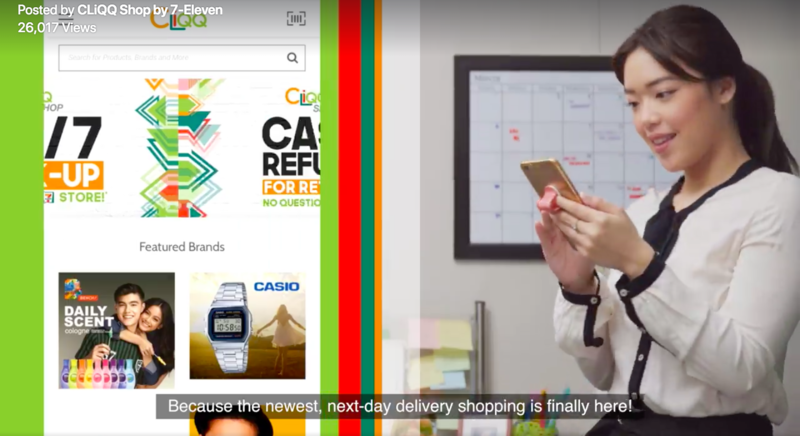 One example of a good explainer video is a 30-seconder produced by Cliqq Shop, the next-day delivery shopping service of 7-Eleven in the Philippines using our our network of videographers specializing in gadgets, games and technology. Another form of hardworking content that you can host on your own site are thought leadership and gated content. These are usually long-form, authoritative pieces that present a company’s viewpoint on specific issues or topics in the form of white papers, industry reports or even webinars. The biggest benefit of thought leadership and gated content is that they allow you to collect information from contacts, making them strong at lead generation. But they also generate huge awareness, especially when picked up or quoted by the media and, because of their in-depth nature, are great at educating consumers. The challenge when doing thought leadership and gated content is for you to have robust research to back up your position; a sharp message that your audience will not see as boring or dry; and budget and time to produce high-quality content. Examples of thought leadership and gated content are the white papers we ourselves produce at GetCraft, which helped us own key search terms around our core business, generate significant media pickups, and get leads through the more than 10,000 times they have been downloaded primarily by brands and agencies. Other content types that appeal to consumers who are already at the bottom of the marketing funnel are corporate videos and client testimonials. The power of these content pieces lies in the fact that before finally deciding to buy a product, many consumers look for a sense of security in the form of opinion from fellow consumers and want to get to know the brand better. Like other video formats, corporate videos and client testimonials can be relatively expensive and tend to take more time to produce, especially if you need executives or management to be present when shooting. Event coverage videos are examples of corporate videos that can more easily be produced. 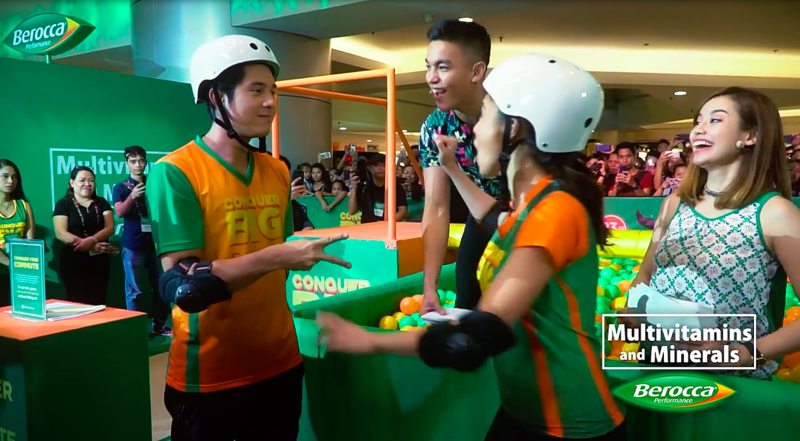 These are content pieces that Berocca in the Philippines creates using videographers in our network specializing in event coverage. What types of content marketing campaigns can I run? Whatever content marketing campaign you do decide to run, it’s important to clearly match them with your objectives. A common complaint among marketers is that content marketing is difficult to run at scale, with most brands and agencies identifying finding the right content producers as a pain point. We’ve resolved this issue at GetCraft by connecting you with our network of thousands of individually vetted content creators—including writers, videographers, photographers, designers, influencers, and publishers. We have all the creators you need for all your content campaigns! Why Should I Do Content Marketing and Sponsored Content?